Fender had a lot of new gear at NAMM this year including the Deluxe Active Okoume series. The basses, which feature okoume bodies with a natural finish, come in Jazz Bass, Jazz Bass V, and Precision Bass Special versions. Fender explains that okoume is a reddish-brown African hardwood with a straight grain that gives the bass a pronounced low end. The Deluxe Active Jazz Bass Okoume has a maple neck with a “C” profile topped with a rosewood fingerboard and 20 medium jumbo frets. Fender fits it with a pair of dual-coil ceramic Noiseless Jazz Bass pickups with nickel-plated pole pieces. Its preamp includes a 3-band EQ with boost and cut for bass, mid, and treble. The Jazz Bass V carries the same features of the Jazz Bass while adding a fifth string. The Precision Bass Special switches things up with a P/J pickup configuration with a vintage-style split-coil precision bass and a dual-coil ceramic Noiseless Jazz Bass pickup in the bridge position. Rather than a P-bass neck, it is built with a slim Jazz Bass neck. Other common features to the series include a Fender High-Mass bridge and side-mounted output jacks. The Fender Active Deluxe Okoume basses are available now with street prices of $799.99 for the Jazz Bass and Precision Bass Special and $849.99 for the Jazz Bass V.
Included Accessories: Deluxe Gig Bag, Saddle Height Adjustment Wrench, Truss Rod Adjustment Wrench. Why does Fender have such ugly mismatched color on their head stocks? Come on man, seriously? All this fancy wood and electronics and no 21st fret? Why? You’re obviously not going for a vintage vibe here, so why hold on to an old spec? Why does Fender insist on 20 frets, with no 21, 22, or 24 fret options? Same old pickup layouts, I don’t about where the truss rod adjusts on this model, but a least this uses a hi mass bridge. But seriously, guys, you have the thumb wheel adjustment on the Dimension, why not use it elsewhere? You have Duncan Designed pickups on some of your cheaper offerings, how about real Duncans on the top end stuff? Again, I’m glad this bass used a newer bridge, because there are too many models that use the tired old bent metal crap. While I’m at it, there is just no justification for bridges like on the Tele bass and the Bronco. Why on earth would you use a bridge that can’t be properly intonated? The best thing Fender had was the 22 fret Deluxe models a few years back, I don’t know why they stopped making them. The best they have now is the Dimension, which some would argue is just a bad MusicMan rip off. 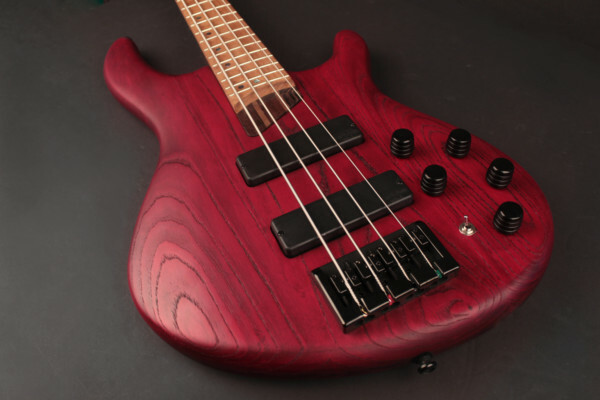 Come on guys, you may have invented the damn thing, but that doesn’t mean you can sit on your laurels for 60 freaking years when it comes to actually making basses. The line “I don’t about where the truss rod adjusts on this model” Should read ” I don’t know where or how the truss rod adjusts on this model”. Please give us an edit feature on posts. They did do a Jazz 24 model a few years back. I’ve got one, they were Korean made, they had Seymour Duncan Bassline pickups and active electronics and i think mine was around $750 new. Phenomenal basses but they jut didn’t sell well from what i found because Fender is pretty much a niche brand like Gibson. Sad but true. The truss rod adjusts on the headstock behind the nut. You can actually see it if you look. I actually like these, but what do I know? I’ve only been playing for a couple decades or so. They’re Fenders. 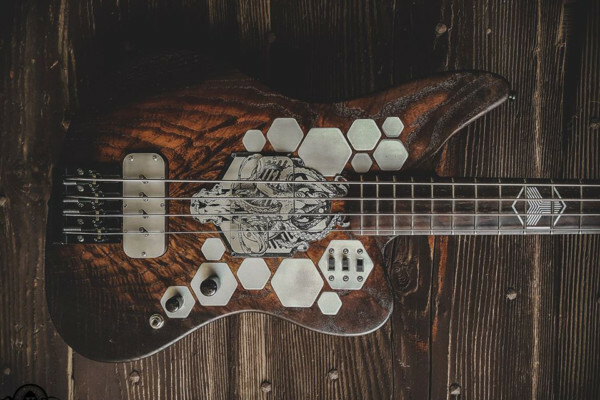 If you’re looking for a Fender that’s a little different, here’s one. If you’re not, okay. There are lots of luthiers making better Fenders these days. I saw these new Fender basses and thought for $799 made in Mexico it was too much and too new for me so I passed. Also new for Fender is the sand blasted body Jazz bass for $999 , too much for me and too new so I passed. Made in the U.S.A. I was looking thru the Fender website and found the Modern Player Jazz Bass Satin and thought gosh darn it I should have purchased that one. Made in China for $549. I’m satisfied with what I bought and it sounds and looks really great . But if I had to do it over again I would have bought the Modern Player Jazz Bass Satin for $50 bucks less than what I paid. O well, time to jam on and be satisfied with what I have. 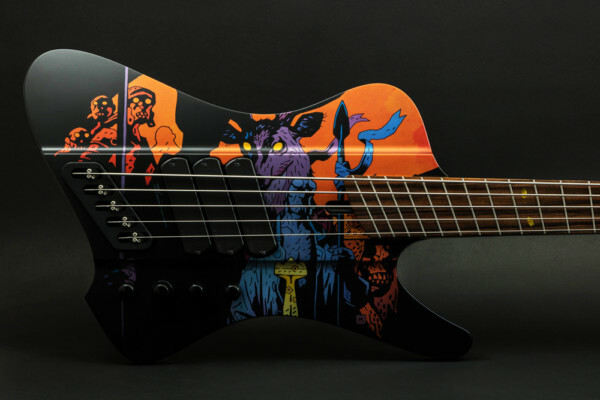 What do all of you think , do you all like my new bass. But I’m 100% satisfied with what I bought , so Rock On .